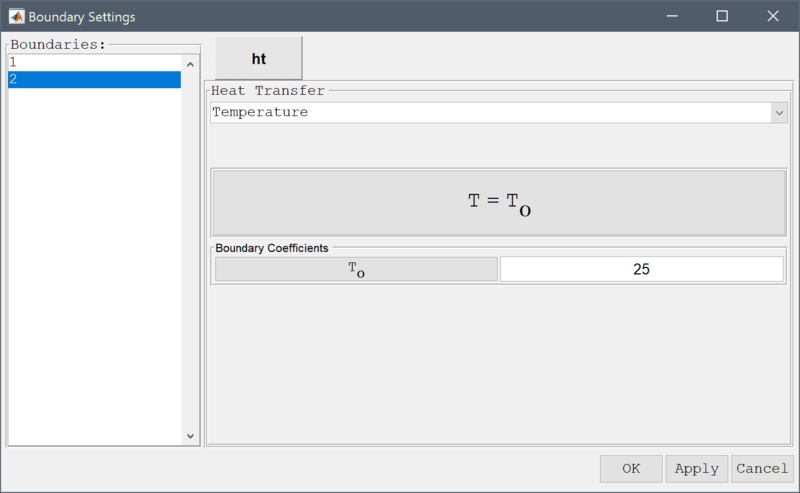 This model is available as an automated tutorial by selecting Model Examples and Tutorials... > Heat Transfer > Transient Heat Diffusion in a Rod from the File menu. Or alternatively, follow the step-by-step instructions below. Select the 1D radio button. Press the Create line Toolbar button. Enter 25 into the Initial condition for T edit field. 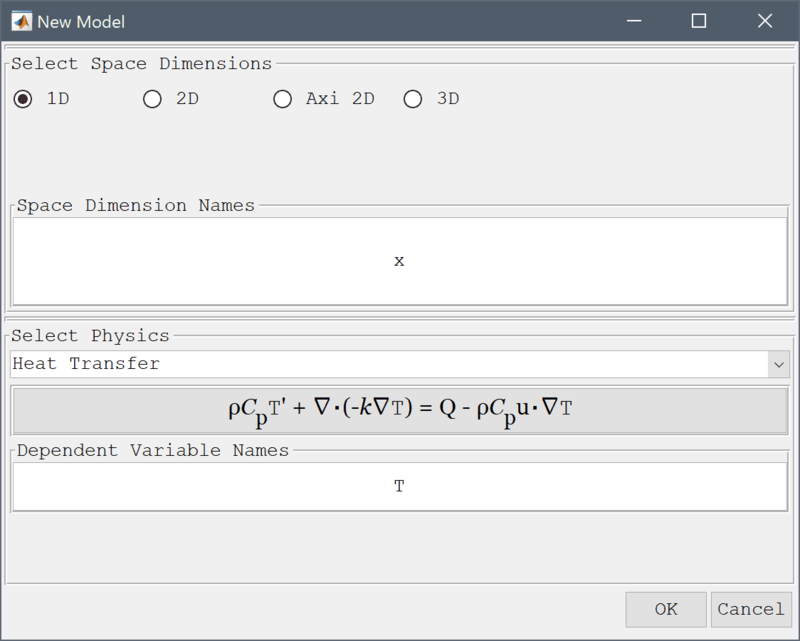 A convenient way to to define and store coefficients, variables, and expressions is using the Model Constants and Expressions functionality. 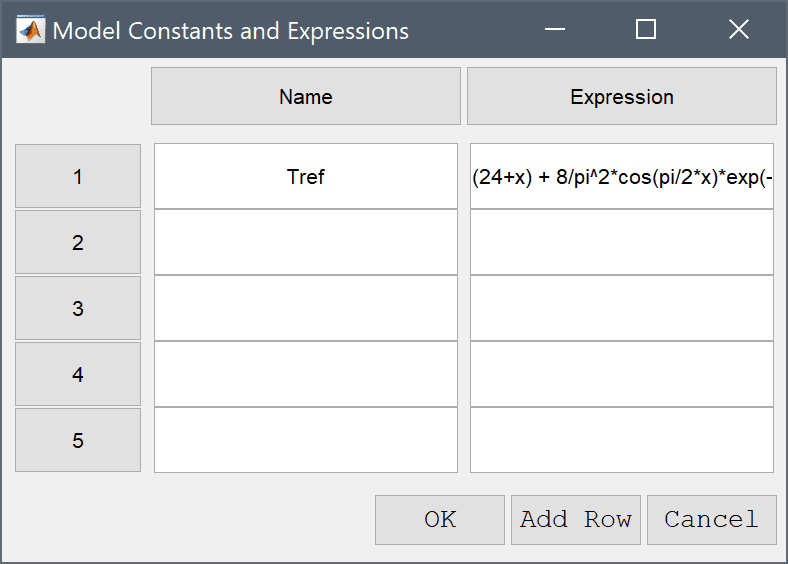 The defined expressions can then be used in point, equation, boundary coefficients, as well as postprocessing expressions, and can easily be changed and updated in a single place. Enter an the expression for the reference temperature Tref with two terms (n = 2). 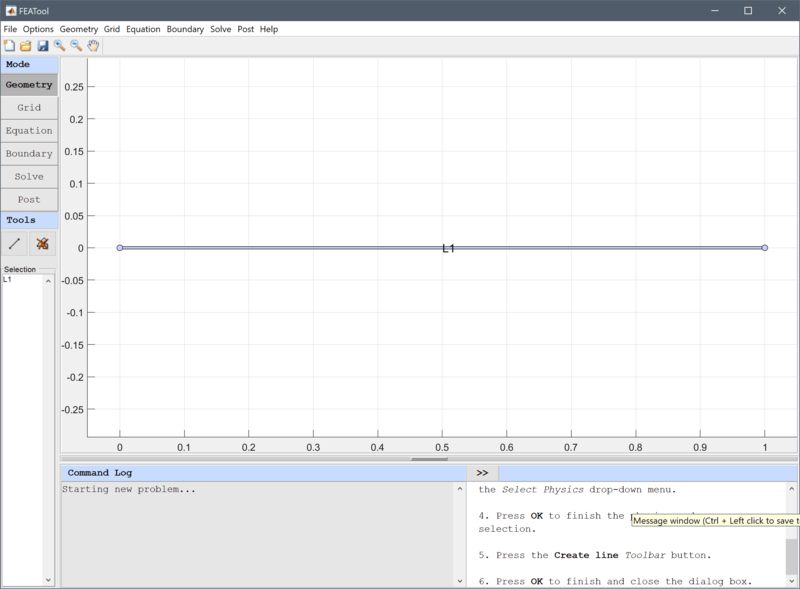 Press the Constants Toolbar button. Enter Tref into the edit field for the variable name. Enter (24+x) + 8/pi^2*cos(pi/2*x)*exp(-pi^2/4*t) + 8/9/pi^2*cos(3*pi/2*x)*exp(-(9/4*pi^2)*t) into the edit field for the expression. 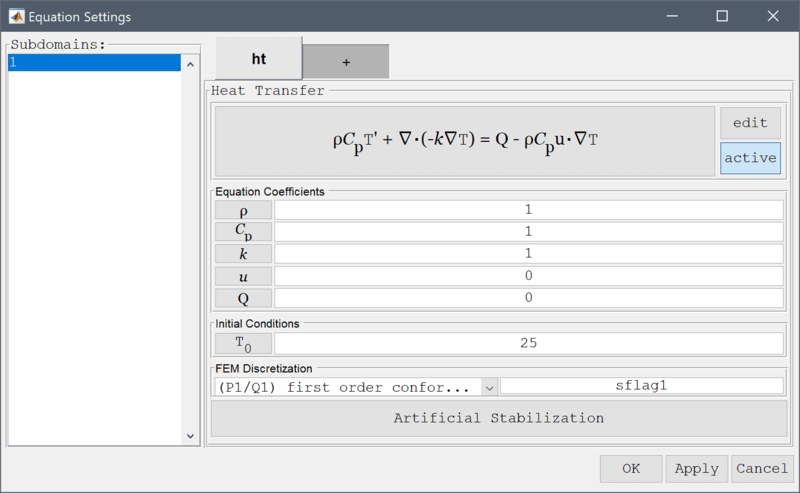 Select Heat flux from the Heat Transfer drop-down menu. Enter -1 into the Inward heat flux edit field. Enter 25 into the Temperature edit field. 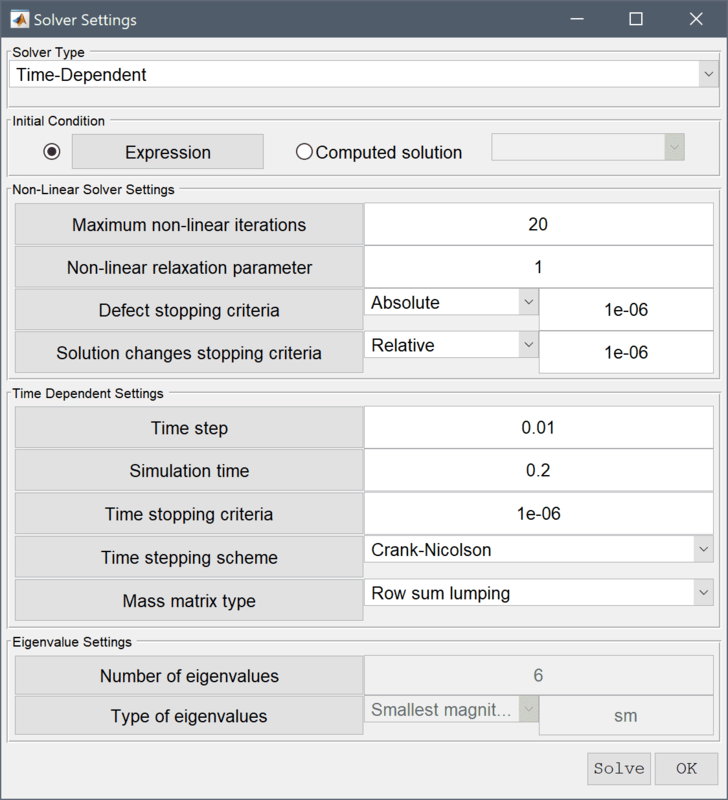 Select Time-Dependent from the Solution and solver type drop-down menu. 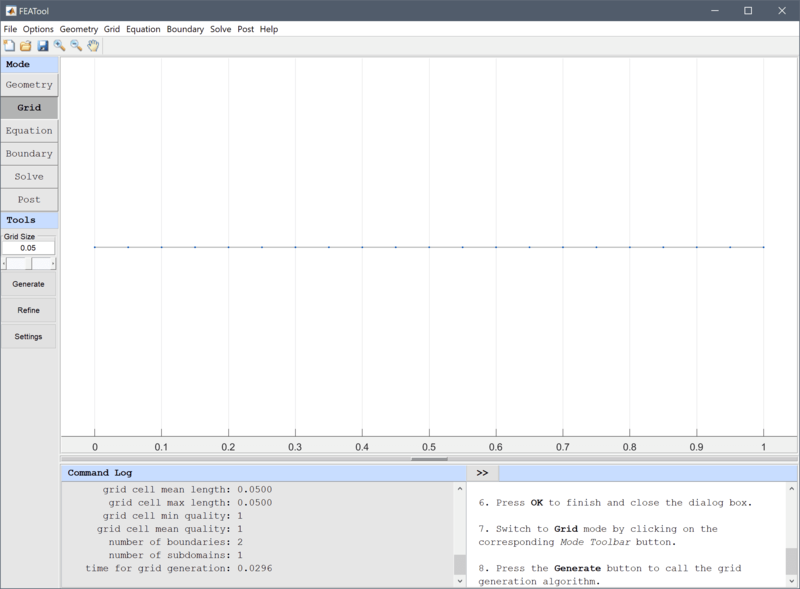 Enter 0.2 into the Duration of time-dependent simulation (maximum time) edit field. The temperature at the final time is shown where one can see that the temperature is a constant 25 degrees at the right end and is losing heat towards the left. 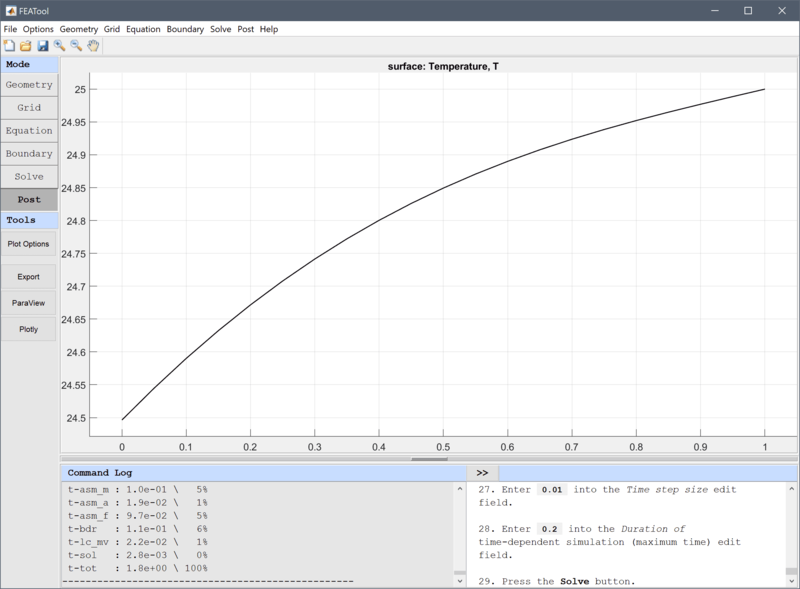 Plot and visualize the difference between the computed and reference temperature fields. 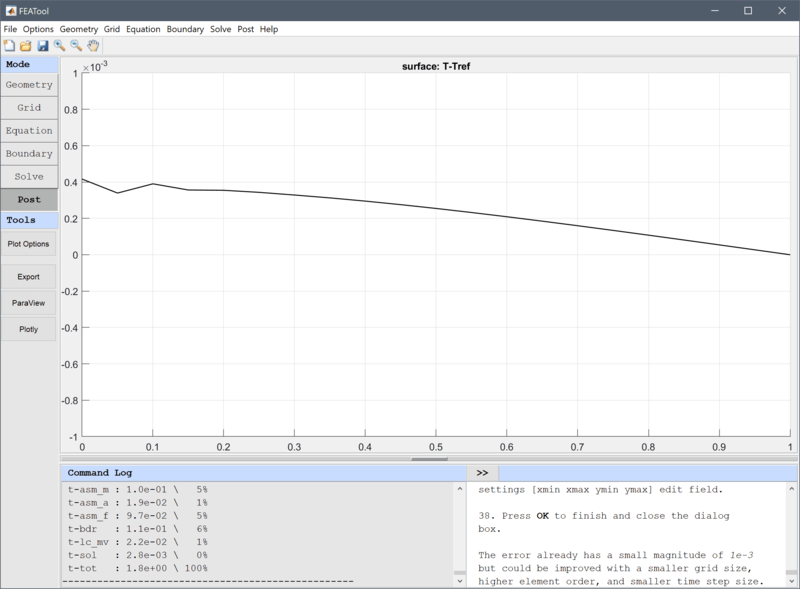 Enter T-Tref into the User defined surface plot expression edit field. 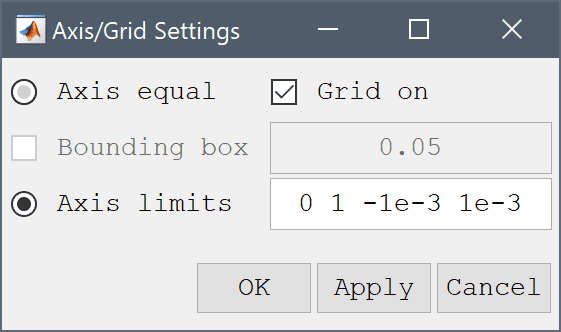 Select Axis/Grid Settings... from the Options menu. Select the Axis equal radio button. Clear the Bounding box check box. Select the Axis limits radio button. Enter 0 1 -1e-3 1e-3 into the Manual axis settings [xmin xmax ymin ymax] edit field. The error already has a small magnitude of 10-3 but could be improved with a smaller grid size, higher element order, and smaller time step size. 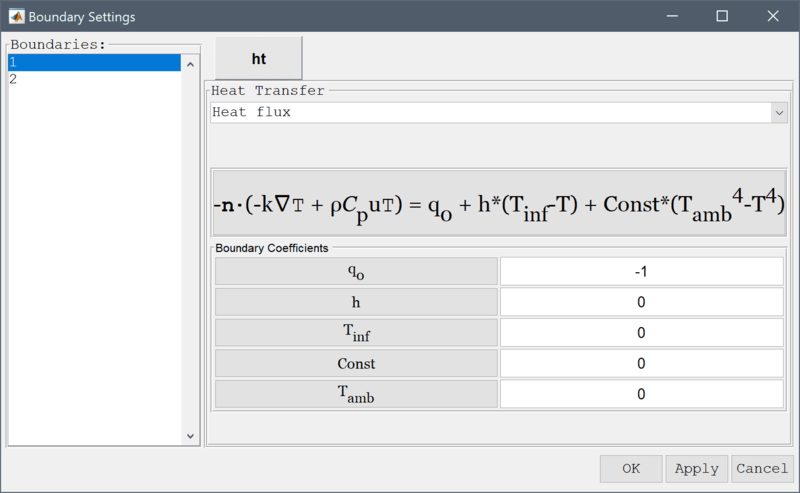 The transient heat diffusion in a rod heat transfer model has now been completed and can be saved as a binary (.fea) model file, or exported as a programmable MATLAB m-script text file, or GUI script (.fes) file.